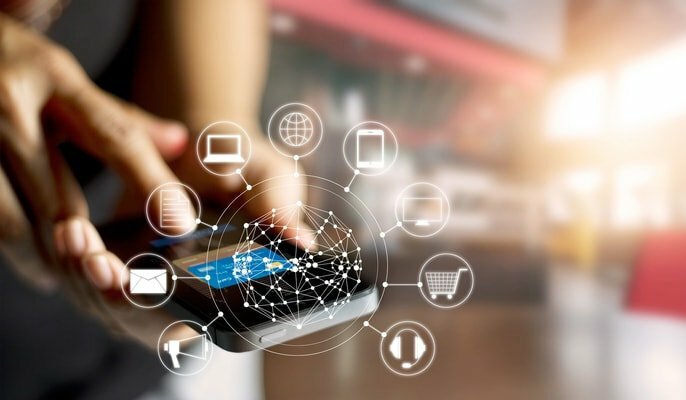 Loyal partners often provide a steady revenue stream from B2B IT Solutions, Services Developers and Manufacturers (B2B IT Developers), but are those partners working hard enough to find new customers? In the strictest sense, we define a white space account as any account where you have never done business. We also count lapsed business engagements where you haven't done business with the account in over five years. This is because with those lapsed accounts, brand and partner recognition may diminish or become non-existent. When you've been out of the picture for that long, turnover alone could be the reason why a former account's employees don't remember a previous business engagement. B2B IT Solutions, Services Developers and Manufacturers (B2B IT Developers) partners often rely exclusively on a core set of customers for their channel revenue stream. Why? Because winning business in white space can be daunting. It requires more time, more money, and more risk than going after upsell or new opportunities inside of existing accounts. Many 2B IT Solutions, Services Developers and Manufacturers (B2B IT Developers) don't actively promote white space sales and marketing efforts. Instead, they happily give channel marketing dollars to host events that are focused on entertaining pre-existing clients. While this approach will make the partner happy, it is unsustainable. 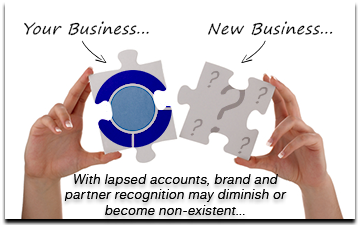 Partners need to be able to develop long-term relationships with NEW customers. Sales and marketing efforts should be better supported and supported with a long-term approach. Why? Sales cycles for new business are typically longer. Sales teams need more support to build up credibility in new accounts. White space funnel leakage - with white space funnels more leads will stall or fall out if not given the right amount of attention. Channel plans should incentivize both new and existing partners to sell into white space. By helping all partners with incentives, content, and sales support, B2B IT Solutions, Services Developers and Manufacturers (B2B IT Developers) can help their sales reps deal with the longer sales cycles that come from white space lead generation. For partners who do not have sufficient internal marketing capabilities, this support is extra important. Services like outsourced marketing, lead reporting assistance, lead nurturing, and content creation can help ease the burden of new account lead generation. In many cases, it can also help to shorten the sales cycle. For partners, the greater their ability to have a closed loop approach is, the better their ability to close the deal will be. 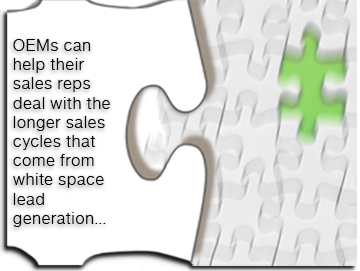 Many partners have limited sales and marketing abilities. 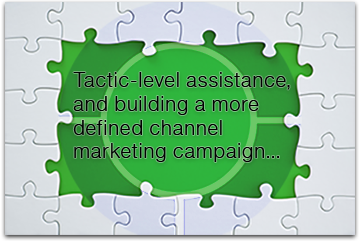 Depending on their resource gaps, they may benefit from receiving tactic-level assistance, as well as from building more defined channel marketing campaigns that help land new business. In which areas might they need help? By building an overall strategy that takes advantage of these various tactics, partners can develop a focused approach to new lead generation. This helps make sure that qualified leads are being passed to sales and that those leads are being progressed into wins. This also helps to support the longer-term sales cycles associated with these leads. Ask yourself how good your channel partners are at converting leads over a 6, 12, or 20-month cycle. If your partners are focused on building out current accounts or are only focusing attention on the hottest new leads, then many leads will be left behind. By helping enable "account farming" versus "account hunting," partners can build trust and credibility with a larger prospect audience over time. Hunter-type sales people will give up on longer term deals and move on to the quick return. Farmers will work patiently with longer term business cyles, and won't give up just because someone isn't buying today. 80% of sales require five follow-ups. Do you have sales people like this? Does your team have the patience to make sustained follow-up attempts into white space accounts? TSL works with B2B IT Solutions, Services Developers and Manufacturers (B2B IT Developers) to ensure that they define sales goals and milestones with their channel partners. This is done at each stage to ensure that partners are matching their goals. It could even involve reporting into a CRM system or at least providing regular insight into the status of a project. Without this kind of accountability, you may as well be giving your partners dollars to take their current clients golfing. Without accountability, these projects can have reporting discrepancies, low or no ROI, and can lead to partner fatigue because they don't have an updated view of the co-marketing effort. Watch a quick video to learn more about how we help B2B IT Solutions, Services Developers and Manufacturers (B2B IT Developers) create joint marketing plans with their partners. We all would love to have our sales teams convert more leads to wins, but this doesn't happen overnight. Here's our 3-step approach to help you on your path to building more successful joint marketing plans. 1) Implement a skill discovery workshop. Not all sales teams have the skills or resources to handle white space efficiently. B2B IT Solutions, Services Developers and Manufacturers (B2B IT Developers) partners must be aware of their partner capabilities. We recommend specific training and support, such as marketing workshops, to help the partners leverage the right resources and to help motivate their success. 2) Determine accountability and police it. Closed loop reporting is necessary to track the progress of your channel sales and marketing efforts. Both positive and negative accountability should be enforced. This comes through setting performance standards, analyzing participation, and building a system of thresholds that must be met to incur positive rewards. The visibility will also allow channel executives to get insight into the overall value of your marketing efforts. 3) Develop marketing items and content based on buyers’ journey. When sales teams are equipped with the right kind of content at the right place in the buyers' journey, they can better nurture and progress leads. 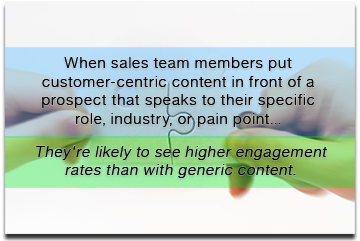 When sales team members put customer-centric content in front of a prospect that speaks to their specific role, industry, or pain point, they're likely to see higher engagement rates than with generic content. Consider what you're currently doing to help craft content marketing plans that are less general and more customer-centric. 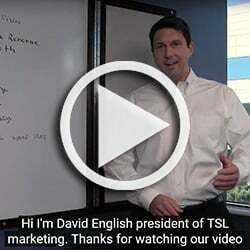 TSL can help make your partners your advocates!